Summer is well underway now and August is quickly approaching bringing with it some highly anticipated events and occasions. 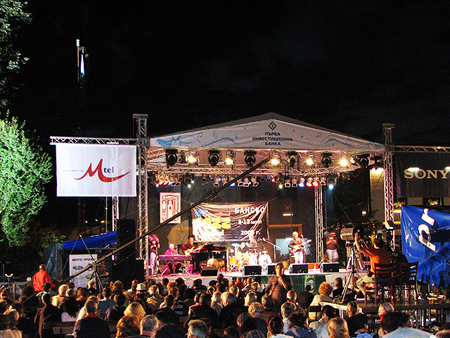 One of the most highly anticipated Jazz festivals of the year and certainly one of Bulgaria’s favourite music festivals, Bankso Jazz festival. Bankso’s notoriety amongst music lovers who are residents to Bulgaria is unquestionable. But it is rapidly becoming better known and more frequently visited by travelling music lovers and tourists alike. August each year sees the “Old Town” area of popular winter ski resort Bankso hosting a growing and vibrant Jazz festival which is beginning to present a more and more varied list of acts from all over the world. This year will see acts come from as far as Egypt, America, and the UK. Of course it also offers acts traditional and contemporary from all over the Baltic strip. But it’s not pure jazz which can be found at this varied festival of culture. The music here ranges from soul, jazz, funk blues and percussive experimental music. The music itself is mostly hosted on a large open air stage in Nikola Vaptsarov Square and a great many of the concerts which are staged as a part of the festival are free to the public, which is another reason for its growing popularity in the Balkans. Here is a little rundown of some of the varied acts who will be gracing the beautiful town of Bankso this year; “Theodosii Spassov”, a Bulgarian native who constructs a stunning combination of traditional folk and contemporary jazz played on a kaval. At the other end of the spectrum of jazz Bansko will be welcoming the Egyptian formed “Percussion Show”, Percussion Show was formed as a collective of talented percussionists who come together to play a mix of tribal and upbeat jazz percussion in an avant-garde format. Another highly anticipated performance will be coming from the renowned and award winning Polish jazz musician Piotr Baron alongside the the Jarek Bothur Quartet. But it’s not just the fantastic festival itself that brings tourists and jazz enthusiasts back year after year. 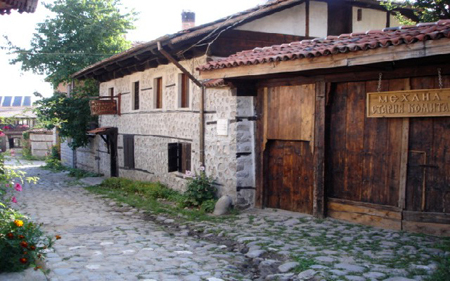 The charming town of Bansko is one which holds a rather personal place in my heart in particular. The fantastic traditional taverns known as “Mehanas” serve up some of the most delicious home-cooked traditional Bulgarian fare and the staff who work in them try their best to make you feel at home. All of this is topped off with the fact that Bulgaria hasn’t adopted the Euro currency yet, which makes Bansko Jazz Festival an incredibly cost effective alternative to the conventional summer holiday. Whether your taste in music is contemporary blues and soul, old school jazz, funk or even avant-garde percussion pieces Bansko Jazz festival will undoubtedly have something to offer you, not to mention its stunning mountain views and its rich history. 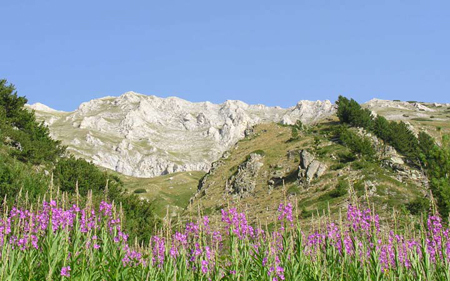 If you’re flying to Bulgaria’s capital Sofia, then there are many companies which offer transfers directly from the airport terminal to wherever you’re staying in Bansko. There are both private and shared transfers on offer, with private being more expensive. Private transfers are often more personal though, giving first time visitors to Bansko the chance to ask their driver lots of questions about the town! If you’re thinking of driving to Bansko yourself then I sincerely advise you drive with care. My experience of the roads has been that people seem to drive at two completely different speeds; there are those who stick to the speed limit and those who cut down the middle to overtake, which can be quite dangerous on the winding mountain roads. If you adhere to the speed limit and remain extra vigilant however, you should have no problems. Remember to take a break at the roadside cafés but be careful with how much you spend, as shop keepers often hike the prices up for tourists. This guest post was written by Stephanie Staszko who writes for Just Motor Law, a team of English driving offence solicitors. Stephanie visits Bulgaria every year and knows just how crazy the drivers can be over there! She aims to bag a cheap flight to the Bansko Jazz Festival next year!